In this New Year, we are preparing the first contest of 2014 that will be held on January, 25th. For this special occasion, we're going to offer you a very special journey to... Mars. Why Mars? Because 10 years ago, on January 25, 2004, NASA's Opportunity rover landed on the Red Planet and it has been at work ever since, rolling its way far beyond its expected life time (that initially was of 90 days)! 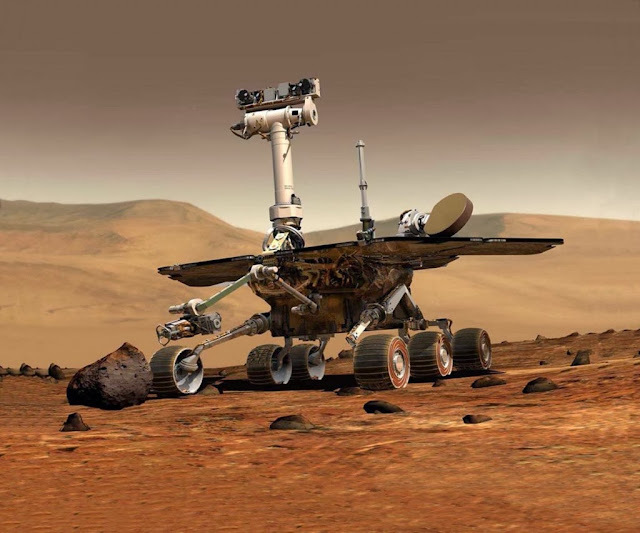 Having traveled a total of 24.05 miles (maxing out at 50 millimeters per second, the tireless rover drives between 160 to 320 feet each day), Opportunity broke through a new space driving record. Such a performance called for celebration, so we've packed cool prizes and imagined a new type of puzzle that you may appreciate :-) We invite you all to take part in!